L’Opéra Restaurant in Paris, France located at the famous L’Opéra Garnier, commonly known as the Paris Opéra, is finally completed after 136 years. The building was originally designed by Charles Garnier in 1875 in Baroque Revival style. Garnier’s wish was to create a restaurant in the Rotunda, but his idea never materialized. Two other attempts in 1973 and in 1992 also failed. 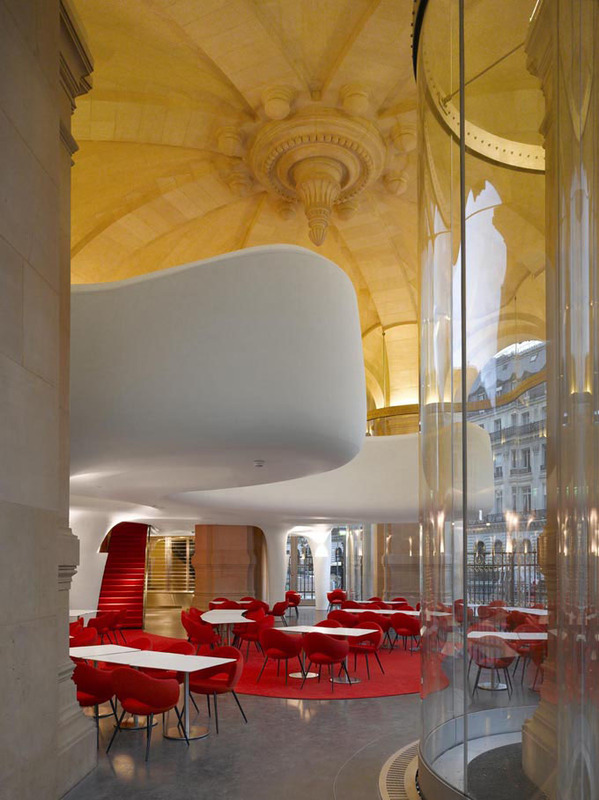 With a budget of 6 million Euro, restauranteur Pierre François Blanc and architect Odile Decq took on the project, and Charles Garnier’s wish was finally granted in 2011.